In "8-Bit Grunge," Nirvana, Soundgarden, and Pearl Jam go 8-bit. This is like Rock Band in the arcade age. Thanks to Youtube channel Filthy Frackers, we now know what Rock Band would have looked like in the arcade age with animation short "8bit Grunge." As the name suggests, the video is a low-res cartoon ode to iconic grunge maestros like Nirvana, Soundgarden, and Pearl Jam. For Super Nintendo fans who never got into early 90s MTV, this is your chance to embrace some Seattle-based glory. The four-minute video transforms classics like "In Bloom," "Jeremy" and "Rusty Cage" into Atari-friendly chiptune jingles. 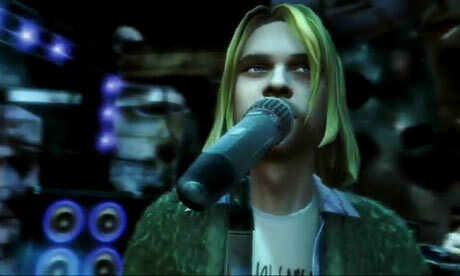 Though the songs are now comprised of bleeps and blooms, there's something kind of rad about seeing an 8-bit Kurt Cobain. It's way more fitting than any CGI interpretations. And to be real, Chris Cornell has never looked better. Watch the 8-bit grungefest above, and check out Filthy Frackers' other 8-bit grunge homage with "Hunger Strike."